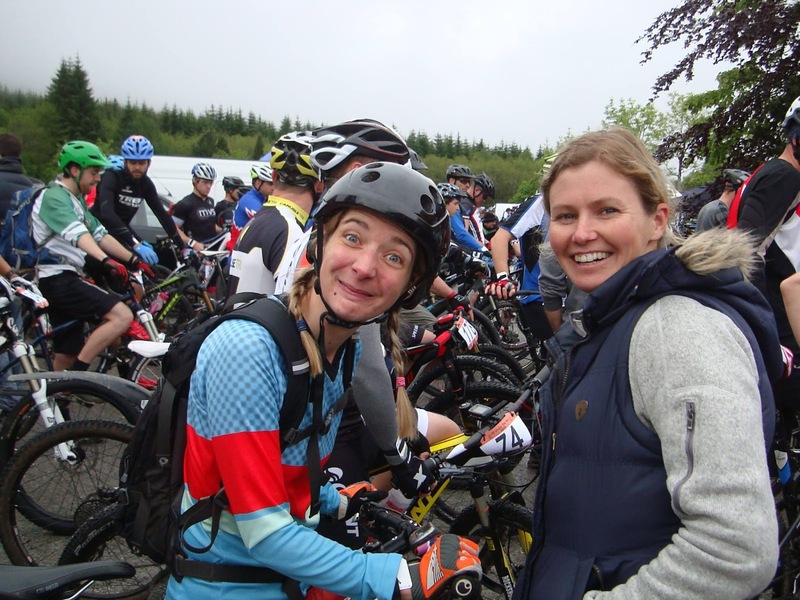 “This is Nienke, she beat me at the Aviemore triathlon” this is how Marie introduced me to her friends. I had to laugh!! We met on top of a hill at the Aviemore triathlon in 2014 when I had just passed the turn around point running down and offered her some sweeties we got handed out, whilst she was hot on my heels running up. How I managed to beat her I am still not sure, I wonder if she did a 300 miles cycle the day before because this girl is super human!! She races anything she can find to race, week in, week out, and does this with a smile regardless of the results, she never makes excuses for herself, she just shows up, does the job and has fun. All this whilst maintaining a full time job as a teacher. I don't think many people really understand what it takes to do this and how tough she actually is. Modest as they come she has some big races behind her name including the 2014 Celtman triathlon. Marie has a level of endurance which is second to none in this country. Like me she struggles with the shorter sharper races but she will not use that as an excuse not to race them, instead she said she uses them to sober up her ego (if she had one in the first place). An attitude I could learn from!! We decided to pair up for Ten Under The Ben MTB race in the female pairs, Marie was one week away from defending her title at the Celtman and I was one week away from racing my biggest race in my career yet, the UCI Mountain Bike Marathon World Champs. A good idea? I thought so but Nico had a different view!! He wanted me to take it “easy”. For both Marie and I the most important thing was not to get injured!! I loved teaming up with Marie!! The day started with her forgetting her MTB shoes! Thank god it was not me who forgot them because that would have been a long way back to get them. Donnie only had to drive 15min to their house to pick them up. Next thing she had forgotten her drink bottles!! Haha!! Another trip home for good old Donnie!! I was so glad that I was not the only one who was slightly disorganized at times!! I felt a little nervous, the worse thing about racing in a team is that I did not want to let Marie down. I had fallen quite badly on this course in the 24hrs MTB World Champs that it did give me a little bit of a sickening feeling to be back here. Marie had such a de-stressing attitude though that I did not even got to the level of stress I normally got to. She started us off and put us in a huge leading position that the only thing I had to do was trying to maintain our lead!! 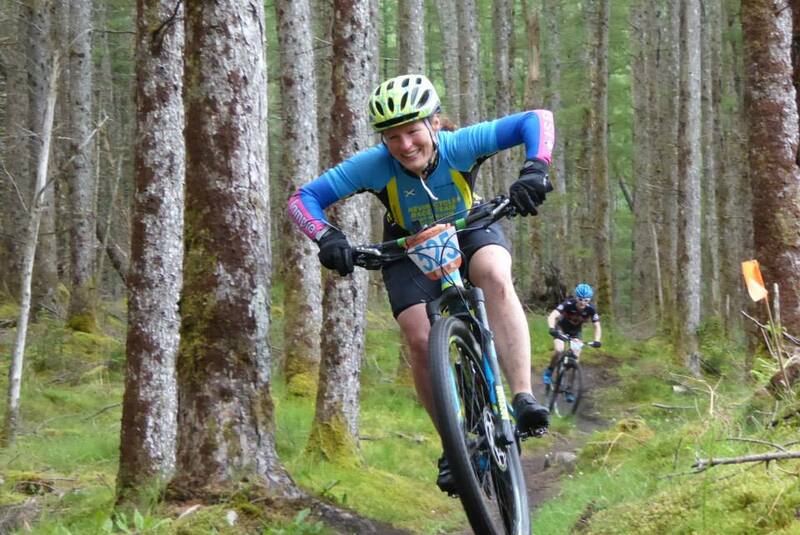 Like with all No Fuss Events the atmosphere was amazing, the course was as tough as can be in true Scottish way and I congratulate anyone for racing!! A special big thank you to the awesome volunteers on course, cheering us on all the way. Such a positive vibe all over the place. I can’t say I felt the best in the race!! My legs had not quite recovered from the massive block of training I had done in the lead for the World Champs and it took me a few laps to master the technical parts!! Other than the long climbs which I loved, I was pretty much out of my comfort zone 90% of the time. Sobering for my ego indeed!! The other slight hiccup was my brand new lovely Open bike, I had already managed to crash it in the first week of ownership and I had issues with the gears to the point that I had two gear’s left on one of the laps. Worried that I would damage the bike further I decided to continue the race on Marie’s old full suspension bike. Marie and I differ about 10cm in height… I felt like I was sitting on a BMX!! On top of that the back suspension was way to soft, when I tried to power up the climbs it felt like I was moving just as much up and down as I was moving forward!! After a nasty fall right over the handlebars I decided I needed to try and stay in one piece by befriending this mini bike and slowing down a touch. Lucky Marie was on fire and kept on smashing her laps very consistent!! With a couple of hours to go we had such a good lead that really all we had to do was finish the race in order to hold our position. It actually felt quite comical riding Marie’s bike, and all I could really do was laugh about it!! I learned from Marie that unless you are physically impaired, there are no excuses to stop riding!! 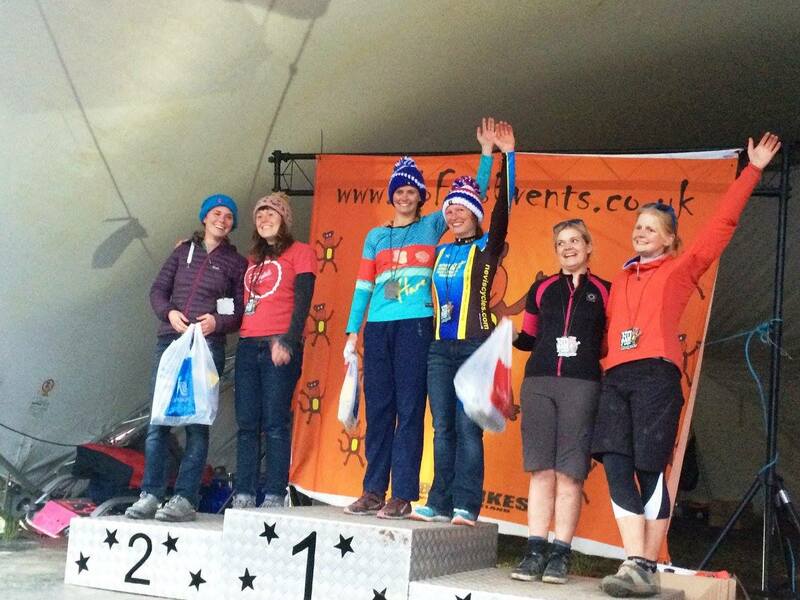 Very happy with our race Marie and I finished 1st female pair, and 17th overall out of close to 100 teams!! We were stoked!! 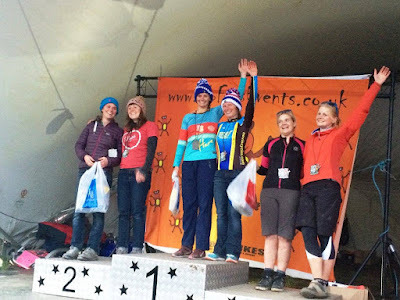 What made my day though was my Flare teammate Kerry Main finishing 3rd in the Solo Senior Female category!! Her pretty and petite blonde looks house a powerhouse of a girl with a toughness which gets to shine the longer the event lasts!! I had never any doubts she would do great so it was awesome to see her confidence grow by finishing on the podium! What a day, great people, great racing and great results! A big thank you to the guys from Angus Bike Chain who'm themselves ended up winning the male trio teams and came in 2nd overall! These guys were a great help in keeping me positive and making me laugh!! Also a huge shout out to Marie's partner in crime Donnie for giving his time being there for us all day! A big thank you to No Fuss Events and Fiona for being spot on once again, I love these guys!! 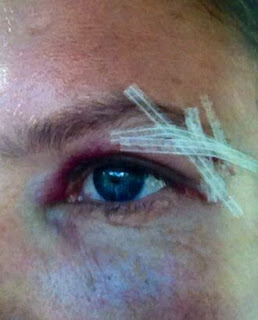 Very happy my race did not end with blood on my face this time!! Last but not least a big thank you to Marie for pairing up with me!! We both have some serious races ahead of us so hopefully this is a good omen!! 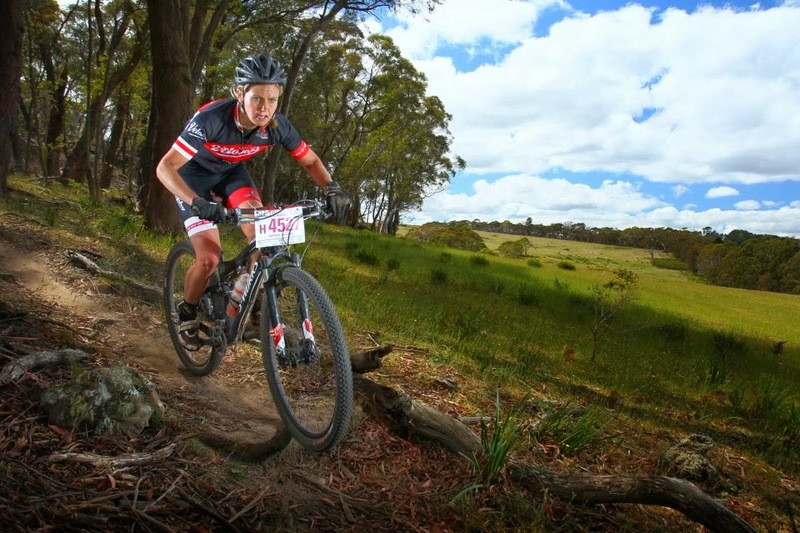 Time to rest, pack and head to Italy for the UCI MTB XCM World Championships!! "There are people in life that make you laugh a little louder, smile a little bigger and just live a little better"
Woman and racing, a personality thing?